At age 15, Rosita had never owned her own pair of shoes. At least no pair that had ever fit her properly. 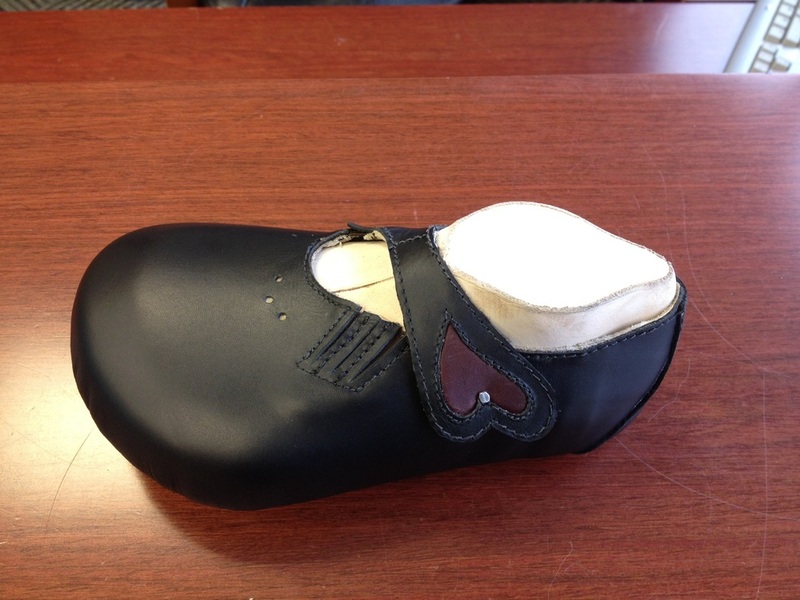 You see Rosita was born with a split foot deformity making a regular shoe unusable. To make matters worse Rosita’s mother passed away when she was young and her father is blind. Rosita cares for her father and her 3 brothers in their tiny home in Tegucigalpa, Honduras. I had a chance to meet Rosita and her father on one of our recent mission trips to Honduras. In October 2013, Kansas City hosted a world mission conference at Bartle Hall. People came from around the world to attend including some of our missionary friends from Honduras. As we visited with them, Kristin, one of the local pastor’s wives from Kansas City shared Rosita’s story with my wife Pam. Kristin said it would be neat if we could find shoes in the United States that would fit Rosita but had no idea where to look. Once we shared the story with Mid Star Lab owners Kari & Ron Wagner, they could not wait to get started making a special pair of shoes designed just for Rosita. They had recently hired a master shoe cobbler, Eric Mitchel. From photos of Rosita’s feet and some rough measurements, Eric artistically created a cast model of Rosita’s feet in which the shoes were designed around. On December 31st, I had the opportunity to introduce Honduras Ministries missionary, Jim Martin, to Mid Star in Edwardsville, KS Jim had tears in his eyes, as Ron & Kari Wagner presented the shoes for him to take back to Rosita in Honduras. “What an incredible blessing.” Jim said as he shared his gratitude for Mid Star Lab’s generosity. We get to work with some pretty awesome clients! Thank you Mid Star Lab for a job well done.